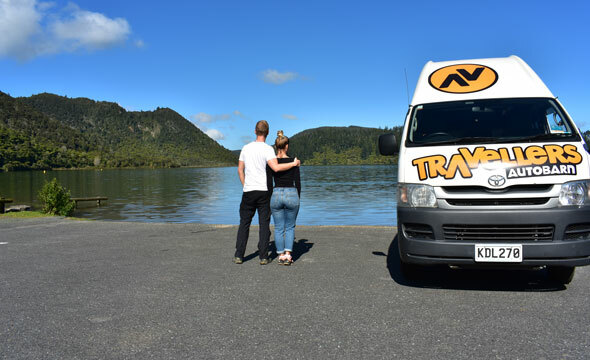 If you are thinking of setting off on the journey of a lifetime in New Zealand, hiring a campervan is a great option for anyone. It is not only the most fun and adventurous way to travel, but also enables you to camp amongst nature, and often completely for free! So, when doing your research for campervans in New Zealand, you might come across the term ‘self-contained’. This article will explain what it means, and why it’s so important. In New Zealand, there are plenty of opportunities to camp for free or ‘freedom camp’. This means parking in designated camp places for the night which don’t cost a cent. As this form of travel is so greatly popular in New Zealand, there are pretty strict laws on who can and cannot freedom camp, depending on what amenities your vehicle has on board. Self-contained vehicles are more environmentally friendly, as they eliminate waste and store it in the campervan. This is extremely important to preserve New Zealand’s clean environment and ecology. 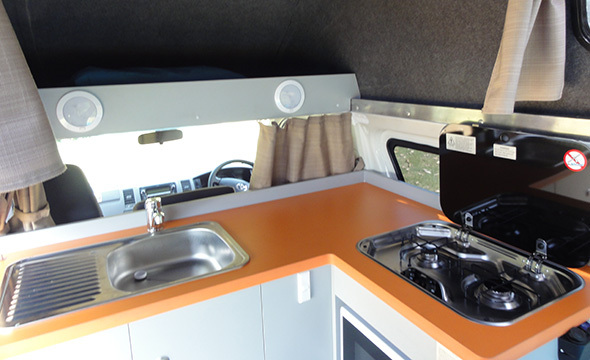 What does a campervan need to be classified as self-contained? Even if a campervan has all of these, it is not classified as ‘self-contained’ unless it has received a warrant from the government. Are our campervans classified as self-contained? You’ll just need to add a ‘porta-potti’ which is a portable toilet – everything else is built into the van. Then, you’re on your way to freedom camping in some of New Zealand’s most spectacular locations! Want to know more about freedom camping? We have plenty of information you can find on our Freedom Camping page. Enjoy the trip! 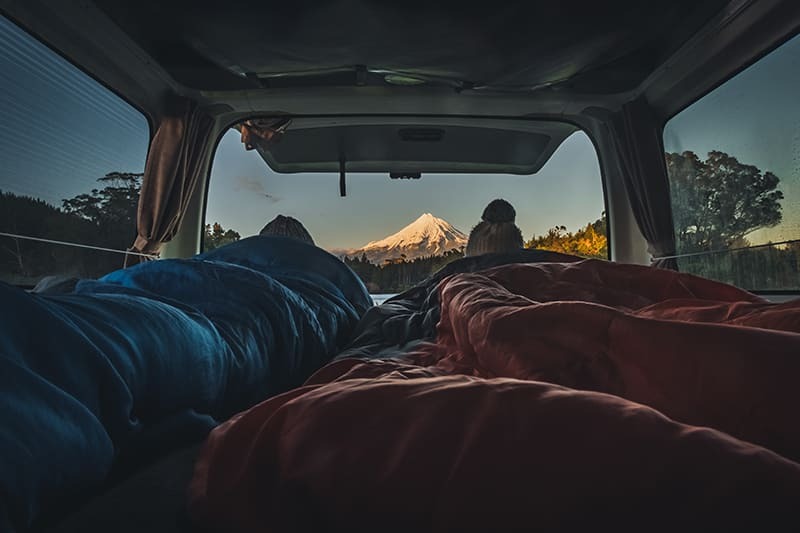 There are strict laws in New Zealand which determine where you can and cannot freedom camp, which normally depends on the location and whether your vehicle is self-contained. Luckily, we live in the age of technology, so access to information is right at our fingertips. We have put together a list of our top 4 apps to help you freedom camp your way across the country! 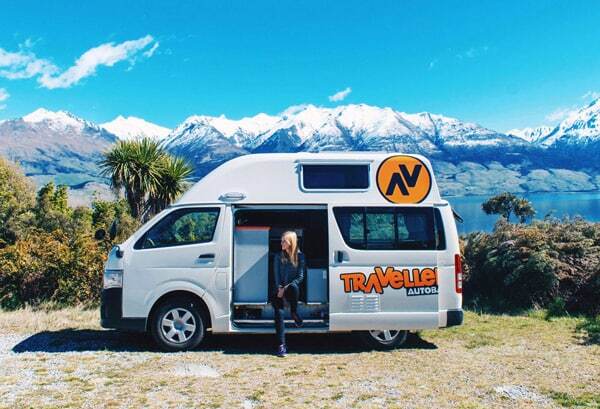 We know how important budget-friendly travel is to our customers, so we have created this awesome app to help you find freedom campgrounds in New Zealand. Inside the app, you’ll find a map with hundreds of pinpointed campgrounds around the country, and information about what facilities you will find at each. From free sites to fully-equipped motorhome parks and everything else in between, there will be a site to suit your budget, wherever you are in the country. The app tells you which campgrounds are suitable and unsuitable for self-contained vehicles, which have BBQs, toilets, showers, dump-stations, as well as other handy information such as reviews and petrol station locations. If you’re using the app while in one of our campervans, you’ll also find the vehicle explanation videos and our contact information very useful. 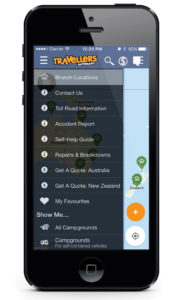 Camping NZ is an official New Zealand app for camping, so you can be sure the information is trustworthy and reliable. This app has a lot of information on individual campsites, making finding what you need to know very easily. You can also book campsites ahead via the app if required. 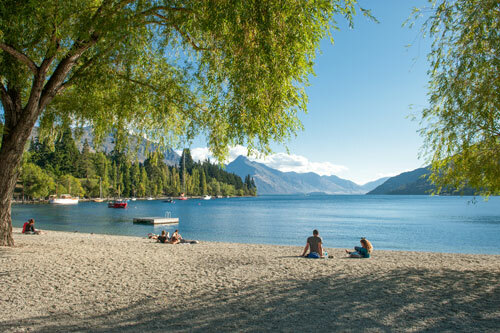 Like most other apps, Camping NZ also relies on user-generated information on campsites such as photos and reviews of the sites. 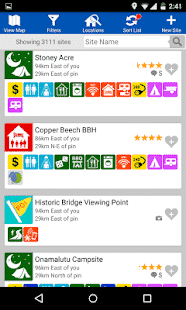 WikiCamps is a great app for finding campsites in New Zealand. A great benefit of WikiCamps, you’re able to download the maps for offline and it allows you to navigate and get directions to sites, directly from the app. The difference between WikiCamps and some others is that is has a lot of other useful features. It has a compass, a camping checklist, world time zone clock, and other great camping features. Unfortunately, this is not a free app, it costs $2.99. The Department of Conservation (DOC) manages more than 200 campsites throughout New Zealand. From sites by the lakeside and sandy beaches to forest settings, and everything from basic free campsites to serviced campsites. 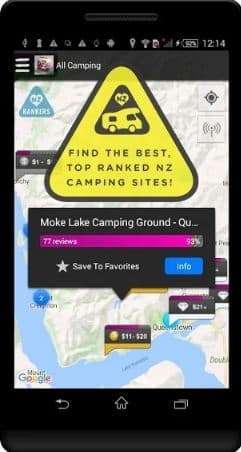 NZ DOC Campsite Finder app is a helpful tool for locating these sites. The app is quite basic and directs you to pages on the DOC website. However, it’s very user-friendly compared to having to navigate the website yourself, and a fabulous way of finding DOC campsites – which are perfect for freedom camping. We would recommend everyone downloads at least one of these apps before setting off on your campervan journey. 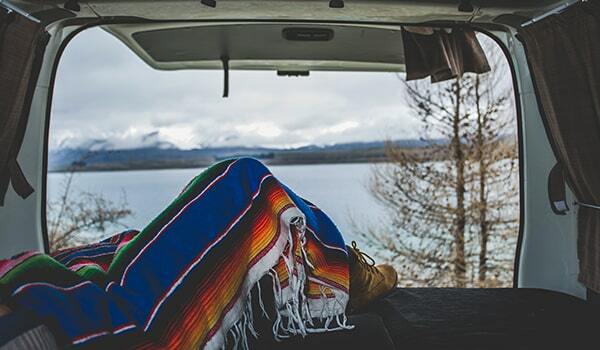 Even if you do not plan on freedom camping, these apps are great for finding paid caravan parks and advise you on which have amenities such as toilets, dump stations and communal kitchens. They are a must-have on any holiday! Freedom camping is the best way to travel New Zealand on a budget! We have plenty of freedom camping tips, check them out! 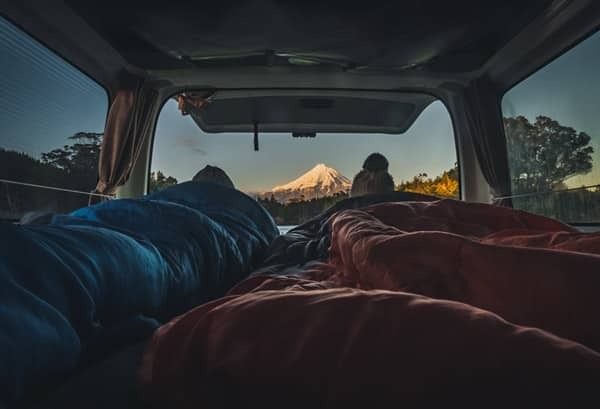 Hiring a campervan for your trip around New Zealand is one of the most budget-friendly ways of travelling around the North Island. 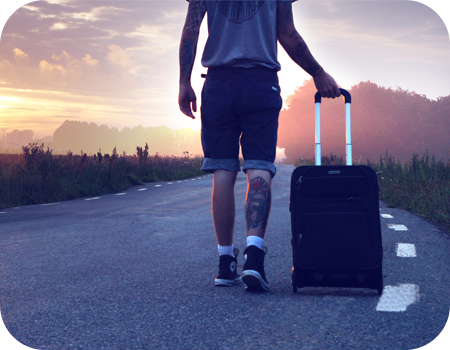 You have your transport and accommodation all in one, meaning plenty of savings can be made in order to do other activities. And New Zealand is the land of fun activities – so you’re gonna want to put some dollars towards that! That being said, during peak travel times of the year, campgrounds and caravan parks in New Zealand can become quite pricey. So if you’re travelling in a campervan, you can always take the other option of freedom camping. Freedom camping literally means camping for free! 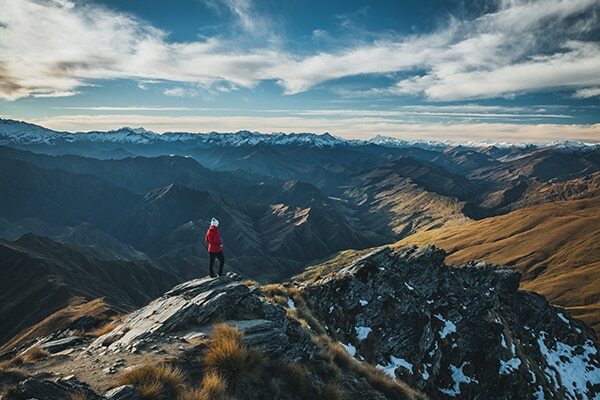 New Zealand has plenty of freedom camping opportunities around the North Island, and just because they don’t cost a cent doesn’t mean they aren’t AMAZING! Read on to learn all about the hows, whats and wheres of freedom camping in the North Island. Freedom camping is camping outside of recognised campgrounds on public land or using campsites specially designed for freedom campers. Families and adventure lovers alike appreciate freedom camping because of the quiet and unobstructed views it affords. There are frequently no other campers right on top of you to keep you up at night or wake you up in the morning. Keep noise to an absolute minimum at night and always be respectful towards the locals. Especially if you’re freedom campsite which is close to a residential area. Avoid lighting fires. If you do make a campfire always keep it small and douse it out one you are finished with it. You should also be aware of whether or not you’re allowed to light one in that area in the first place – sometimes there are total fire bans. Lastly, and definitely most importantly – know where you can and can’t sleep. If you have a ‘self-contained’ sticker on your vehicle (meaning you have a toilet and greywater onboard) you are allowed to stay in a lot more places. If you don’t have this, you will always need to stay in designated ‘non-self contained’ campgrounds. Also, try Googling Department of Conservation (DOC) campgrounds in New Zealand. These are government run sites, many of which are free for campervan travellers. To take advantage of freedom camping in New Zealand, you should have a general idea of some places you can stay before you head off. We live in the era of technology, which means luckily for us, there are plenty of apps that allow you to find places to sleep, right at your finger tips. 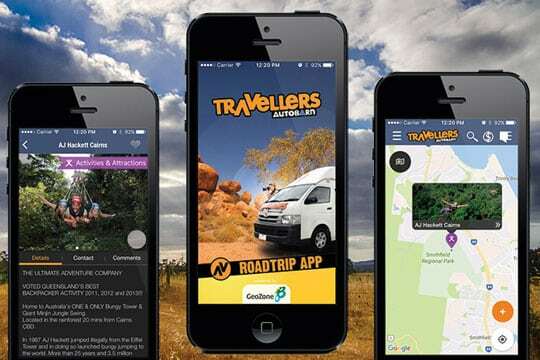 We would recommend not leaving on your campervan journey without having downloaded at least one campground-finding app. Trust us – they are lifesavers and will make your trip so much more enjoyable! You can download the free Travellers Autobarn app which has helpful information about free campgrounds, so you should never be stuck without a place to sleep. 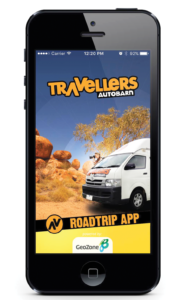 The app also contains many more handy travel tips and a self-help guide for when you are on the road in your Travellers Autobarn campervan. 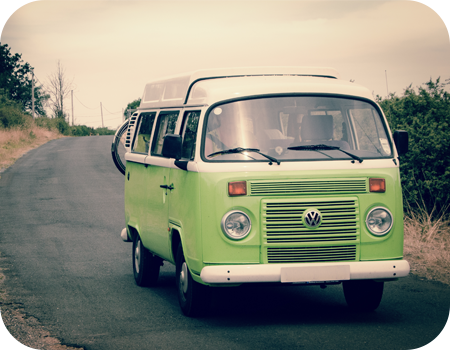 Check out our range of campervans and get a quote today! New Zealand is one of the most beautiful and remote countries on Earth. It’s peaks, valleys, bays, cities and trails are sought by people all over the world. 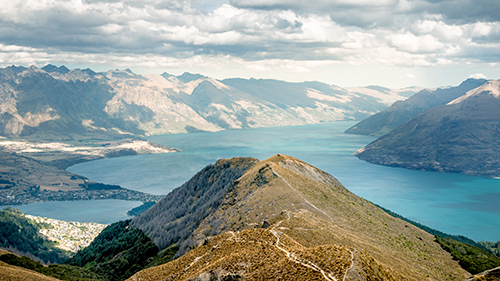 New Zealand has everything from amazing culture and restaurants in cities, to memorable movie locations from the Hobbit, to an array of outdoor beauty and adventure that can be found in no other place. There are a few top locations that are both amazing to see and to Instagram. These ancient caves feature millions of tiny insects that glow in the dark. These unique creatures hang from the ceiling of the cave, creating an optical illusion that looks like stars in the night sky. Visitors sail through the caves in small boats as their guide explains the magic history and nature of this location. Any picture inside these caves will be simply incredible on Instagram (remember to keep the flash off though). 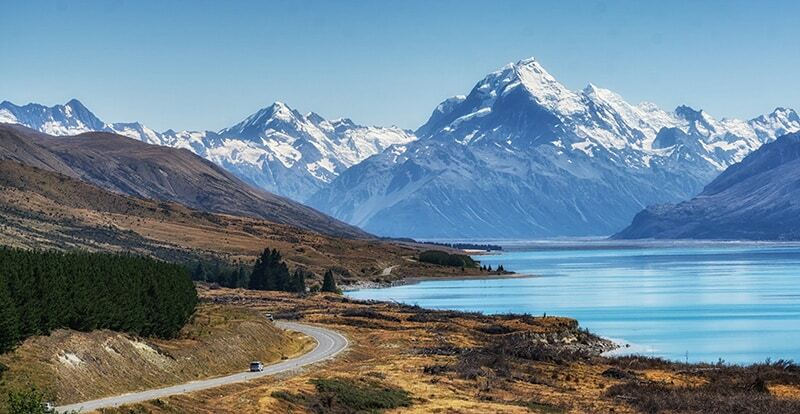 Located on the South Island, Mount Cook is one of the highest peaks in New Zealand. It has amazing skiing during the winter time and is a great place to go to get away from the warmer parts in the North. The amazing, clean, beautiful, snowy slopes make great places to snag a photo. 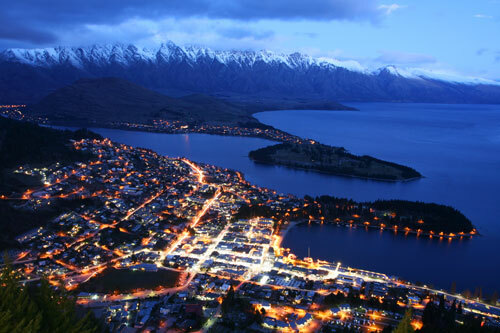 Queenstown is the HQ of adventure in New Zealand. The area offers everything including bungee jumping, skydiving, white water rafting, kayaking, mountain climbing and adventure trails. There are so many cool photos available here it is hard to know where to begin. 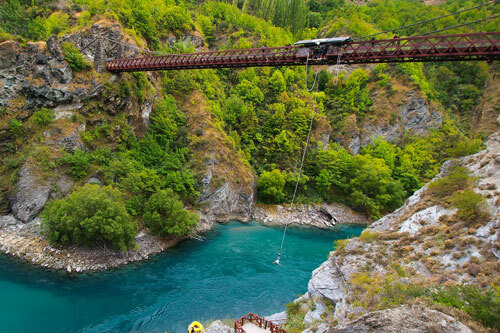 Anyone looking for thrills and beauty should come to this location on the South Island. It is also home to some of the most iconic scenes from The Hobbit. 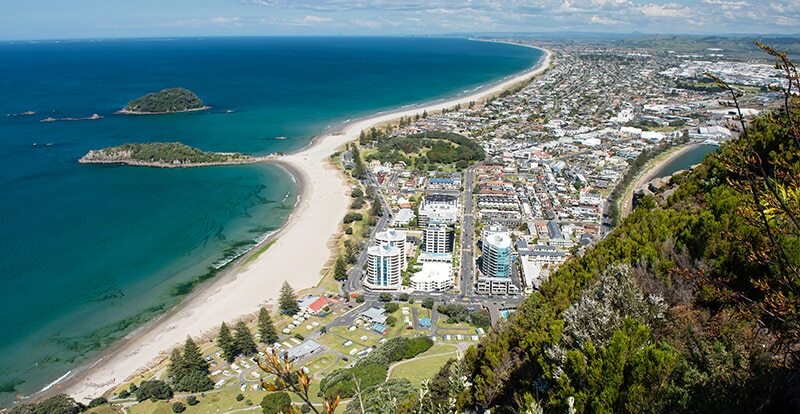 Tauranga is a spectacular beach on the North Island. Visitors come for surfing, jet skiing and general good times. There are places to hike and explore. There are also wonderful hotels and spas to relax at. 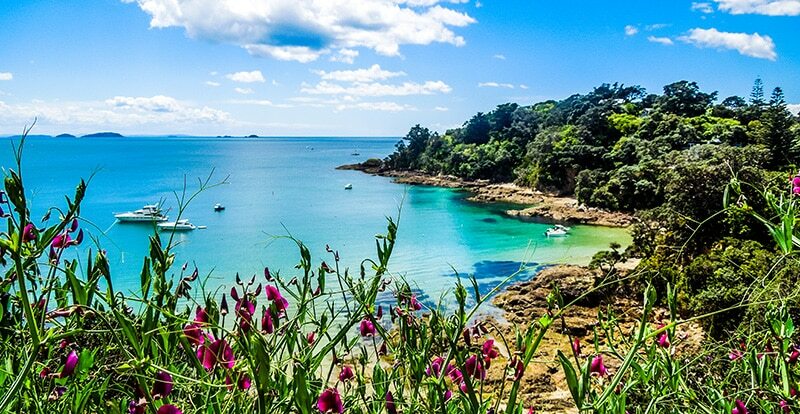 Instagram experts might want to focus on the amazing beaches and nearby scenery. This island is known to be a spot for the artists, innovators, rich and famous to get away. It has amazing hotels to stay at as well as pristine beaches. There are also several top wineries that accept visitors. Tourists can enjoy all aspects of this island paradise. Photos at the beach, restaurants, winery or hiking trail are all great ideas. This is the largest city in New Zealand and the gateway to the rest of the world. It has skyscrapers, luxury real estate, great food and a thriving nightlife. 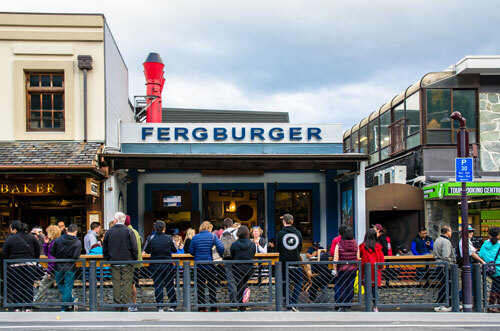 This melting pot has visitors from around the world enjoying local cuisine, beer and the nightlife. This is a great place to shoot party shots and downtown photos. 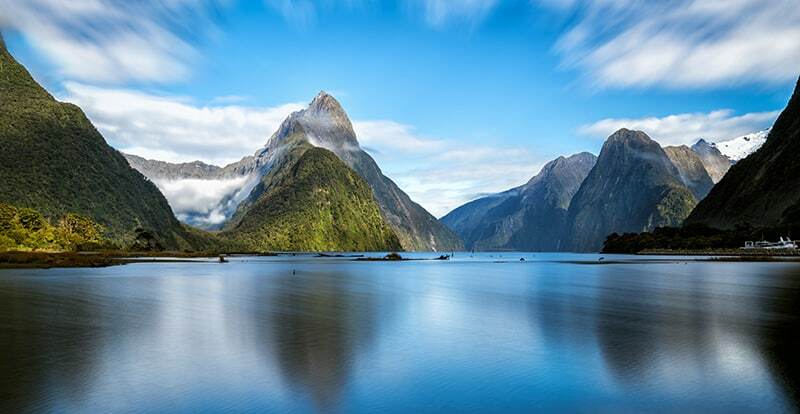 The Milford Sound is on the South Island and is home to the Fjordland National Park. It includes massive glaciers that are truly incredible. In fact, when famous author Rudyard Kipling saw this land, he called it the Eighth Wonder of the World. This area includes massive peaks and valleys. It is quite cold so visitors need to wear extra layers of clothing. Photographers will have no trouble finding the perfect pic to place on Instagram though. Hobbiton is one of the most iconic locations for visitors to New Zealand. The movie producers of the Hobbit left many of the most famous homes in the village standing. These stand among beautiful rolling hills and farmland. Visitors can walk right up to the homes and take the best pictures. At the end of the tour, people can sample the local ale or many other treats. 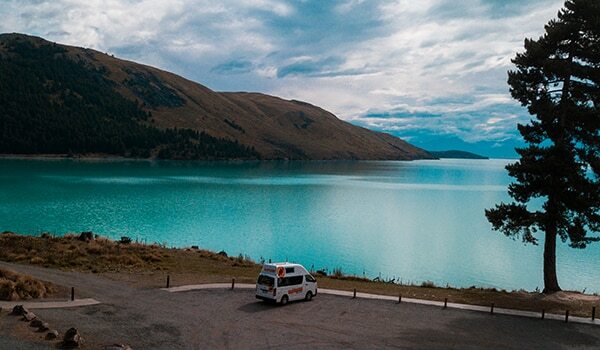 The best way to capture those Instagramable #roadtrip memories is with a campervan hire in New Zealand. 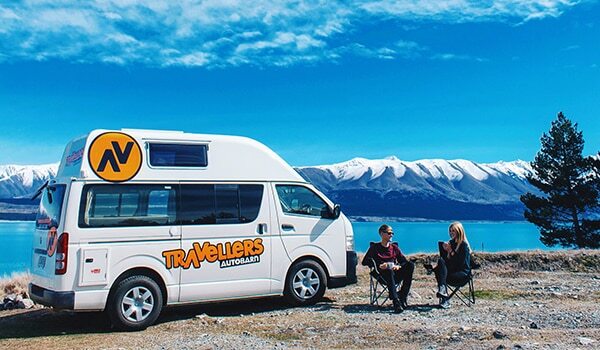 Travellers Autobarn hires out campers from Auckland and Christchurch. 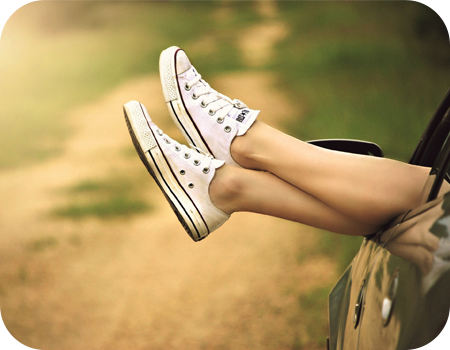 Get a quote and start planning your epic road trip today! Just because you are living life on the road doesn’t mean you have to eat poorly! In fact, travelling in a campervan is a great time to try some new recipes. You have a kitchen with you everywhere you go, and what better way to eat breakfast than with a view of snowcapped mountains?! 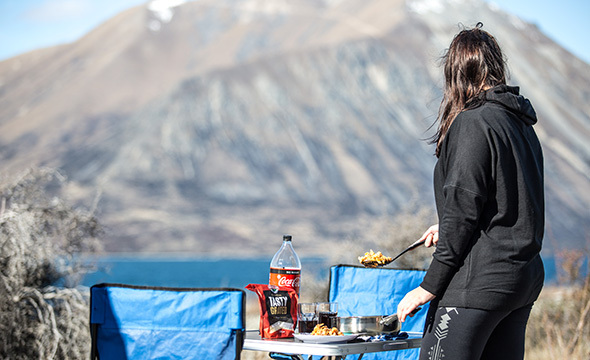 Here are 7 quick and easy meal ideas that you can make during your campervan trip in New Zealand. 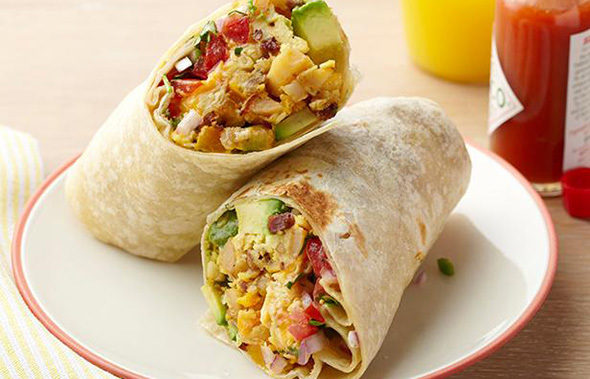 Start your day with some delicious and healthy breakfast burritos to sustain you for a big day of exploring. Use whole wheat tortillas, scrambled eggs, and spicy salsa as a base, and then get creative tomato, and avocado, capsicum, cheese and black beans to your taste. Whisk the eggs and stir in the cheese. Heat the other half of oil in the frypan and scramble the eggs until they are cooked. Spread each tortilla with sour cream and salsa, then top with eggs, bean mixture and avocado. Roll up burrito style and serve. For extra flavour, serve with chilli flakes or hot sauce. This combination packs a vitamin and nutrient-rich punch to your day and is perfect as a side with any meal. For breakfast, you can fry it up alongside some eggs, or for lunch and dinner, serve with your favourite meat or protein-based meal. Simply add all the chopped vegetables in a pan with oil, garlic, salt, pepper, and lemon. 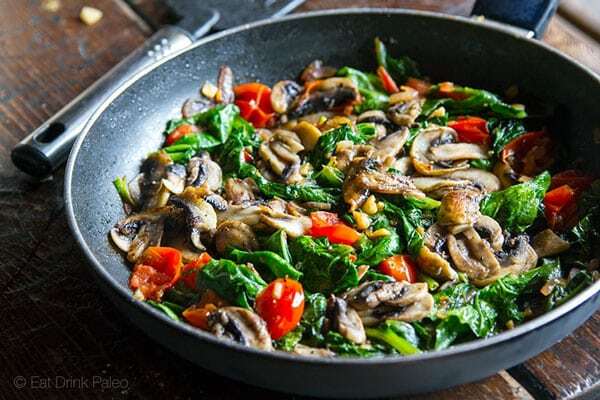 Heat butter and olive oil in a large frying pan and add the mushrooms and onions. Sauté for 5-6 minutes until browned and cooked through. Combine the tomatoes, garlic, salt and pepper and cook for a further 2 minutes. Next, add the spinach and stir through and cook until it welts. At the end, squeeze over the lemon juice. Serve this with anything you like, whether it’s eggs, meat, or simply on bread. A veggie-packed coconut curry is a real crowd pleaser and is super easy to make in a campervan. 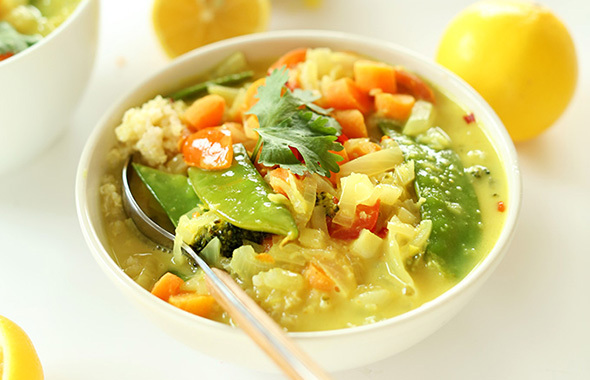 A can of coconut milk, vegetable stock, some curry powder, and your choice of vegetables is all you need to put in one pot to make this creation. Feel free to swap vegetables in this recipe in and out, you can even use whichever ones you have as leftovers. Serve with rice or quinoa for a healthy and tasty meal. 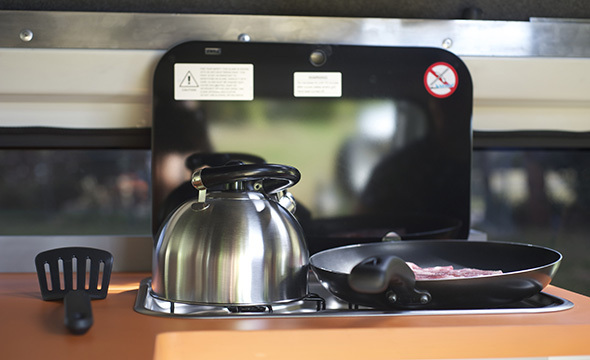 If you are hiring a campervan with a microwave you can minimise time and washing up by heating up a packet of 90-second rice! Prepare all the vegetables. Chop the carrot into circles, chop the cauliflower and broccoli into 2cm heads, dice the onion, cut the heads of snow peas and finely chop or grate the garlic and ginger. Heat olive oil in a large pot over medium-high heat. Add the onion, ginger and garlic and cook until the onion is clear. Add the carrot, cauliflower, broccoli, and snow peas and cook for around 5 minutes or until slightly softened. Meanwhile, cook the rice in a medium pot. Add the curry powder or paste and stir until all vegetables are covered. Pour over the coconut milk and crumble the vegetable stock cube in. Bring to a simmer and then reduce heat and cook for around 10 minutes. 4. Serve the curry over rice in bowls and top with salt and pepper, cashews, and chilli flakes if using. In a large saucepan, add minced meat, vegetables, garlic, and beans, cook for 15 minutes and then serve with your favourite toppings. This simple chilli con carne is ready in under half an hour and is perfect for dinner, next day leftovers and snacking on with corn chips. Topping choices – jalapeno chillies, sour cream, coriander, tasty cheese, etc. Heat oil in a large saucepan over medium heat. Add the mince and break up and stir for 15 mins. Add onion, capsicums, garlic and chopped chilli. Cook for 5 minutes and then add chilli powder. Add the tomatoes and a cup of water. Bring to the boil and then reduce heat to medium-low, simmer partially covered for 30 minutes or until sauce thickens. Add the beans and increase the heat to medium. Serve with toppings of your choice. With just a few ingredients, all of them being very healthy, this chicken and asparagus dish is a perfect dinner to eat in your campervan. 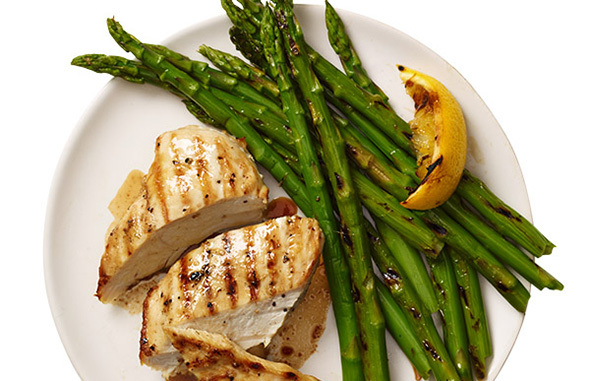 Instead of grilling the chicken, just put it in the pan over your gas stove. It almost seems a bit fancy – but it’s ready in about 20 minutes! Heat the frying pan (or BBQ if you are at a campground that has one!) to medium-high. Brush the chicken with olive oil and season with salt and pepper. Steam or boil the asparagus until it slightly softens. Fry the chicken until cooked through, this will take about 6 minutes each side. Halfway through cooking, add the lemon wedges to the pan or hotplate. Serve with the asparagus and squeeze over lemon. 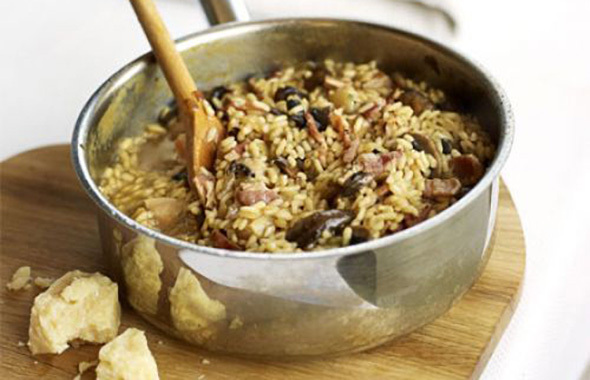 With only 7 ingredients and one pot required, this mushroom and bacon risotto is the perfect meal for while you are on the move. Our tip: if you are feeling a little more adventurous, add a splash of dry white wine and some diced shallots for some extra flavour – and you’ll have yourself a restaurant quality meal! Heat the oil in a deep frying pan or pot and add the onion and bacon, cooking for 5 minutes. Add mushrooms and cook for further 5 minutes. Stir in the rice and cook until it goes clear and all juices have been absorbed. Gradually add the stock, about half a cup at a time, stirring well and waiting for the stock to be absorbed before adding more. This process will take about 20 minutes. Once cooked, serve with grated parmesan. This perfect campervan dinner is one that even the most amateur of cooks can master. With ingredients such as chicken, garlic, penne, cheese, and cream, who wouldn’t love this delicious classic pasta dish?! Heat the oil in a pan over high heat. Add the garlic, chicken, salt and pepper. Cook the chicken until it is browned. Stir in the heavy cream, parmesan, and pesto, stirring until combined. Bring the mixture a boil and cook until the sauce has reduced, about five to seven minutes. Toss in the cooked pasta and cherry tomatoes, stirring until evenly coated. Serve with parmesan and basil on top. Ready to begin your culinary adventure on the road? 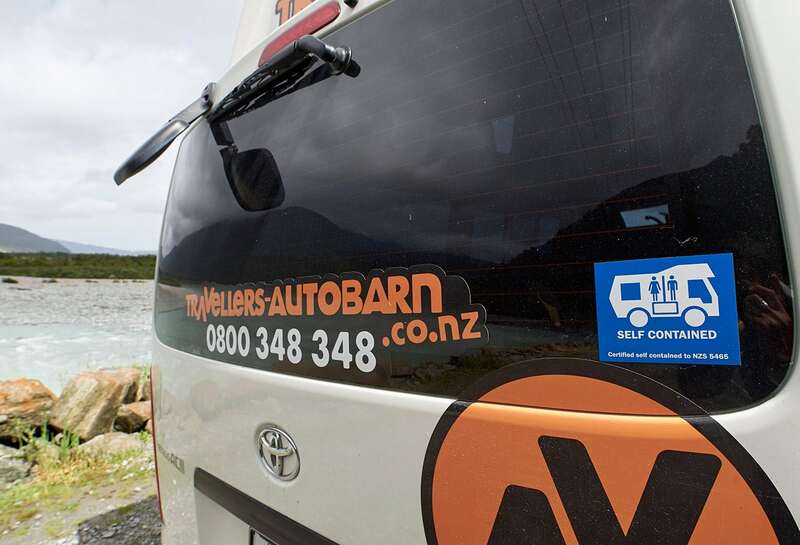 Stop salivating and get a quote on a Travellers Autobarn campervan in New Zealand today!